We’re all about the bold, the unique, and the eccentric: KAVU is all of those things, wrapped-up in a killer series of products. They’re all about putting your personal expression and function in the forefront of their mission, while keeping things low-cost and stylistic. Guys, there’s backpacks, waist bags and slings, so let’s just hop into it and let the story of each KAVU bag tell itself in the style before your eyes. Check it out. As the most icon bag in their lineup, the KAVU rope bag brings everything you’re after. From the top to bottom, this bag keeps it lightweight with just twelve ounces total, most of which is from the easy-to-clean cotton canvas construction. This technically also functions just like a KAVU sling bag, fitting comfortably over your shoulder, and coming along for the ride on your next adventure. You get a total of four pockets: one interior zippered, and three external to organize and maintain everything. While the design is eye-catching and anything but bland, the strap provides ample support for your shoulder, letting you conquer the day without shoulder pain on your mind. Keep your focus, call the shots, and look like a total boss doing it. There’s well over forty different colors to choose from. Make sure you also check out top messenger bags review. KAVU backpacks are many things, first and foremost being stylish as hell. Even when they go for a minimalist approach, they still manage to make a killer mens bag. Made of 600D polyester, KAVU Packwood repels water, and is ultra durable for whatever bumps in the road may come your way. Ideal for hiking, this KAVU camp bag comes with resistance to the elements, but also has a padded sleeve along the interior to stash your tablet or laptop. Netflix can go camping with you. On top of that, it’s very lightweight. Resting at just over one pound of empty weight, you can load this to capacity, hit the road, and not put stress on your shoulders. Use the external back pocket for quick-access items, and adjust those nylon base straps to keep it comfortable, and at just the right height for you. After using multiple models, this is the ideal KAVU camp bag, while staying casual enough to be used for anything else you can think of. For more hiking options, check out our backpacking backpacks review. One of the problems that most waist bags have is being horribly uncomfortable. KAVU saw this, and introduced a solution into the market: padded back panels. The Spectator sits on your waist nice and comfortably, with a quick-action clip to detach it at a moments notice. Personally, we were a big fan of the jet black design, but there are seven others for you to choose from. You get two internal pockets, keeping everything nice and simple. Durable zippers keep everything sealed up tight, while the 600D polyester construction beads off rainwater, and remains durable through the worst of it. Get snagged on a branch while walking? Bags gets caught in a door on the way out of the coffee shop? Nothing it can’t handle. You’ll have this for years to come. Hit the trail, drift out on the lake, or an overnight trip: this KAVU camp bag has you beyond covered. For one, Rainer Rucksack’s made of nothing but polyester, giving decent rain resistance. You get five epic styles to choose from, our personal favorite being the red-and-black plaid design. There’s a lot of storage lying in store, all carried comfortably on your back with adjustable, padded shoulder straps. Fatigue happens, no matter what, but the right mens bag can cut down on how fast it occurs. There’s also a padded back panel for additional support, helping carry the weight of whatever’s in store. There’s plenty of storage space, and a quick-carry nylon loop handle along the top for wayside carrying. You may also like to check our external frame backpacks review for more great products like this. 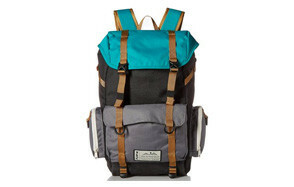 The ultimate KAVU camp bag for two-day camping trips: Sherman Backpack brings the thunder. There’s a whole lot to love about this mens bag, and not enough time to say it all: air mesh along the back gives you ventilation, while padded shoulder straps keep everything nice and comfortable. Whatever weight you’re bearing, KAVU has a helping hand in store. Made of 600D polyester with genuine leather accents, this tough-as-nails line of stylish KAVU backpacks gives you control over the unknown. Camping, hiking, or some bold weekender/overnight use, whatever your reason is, this rises to the occasion. Internal zippered pockets help protect valuables, while the adjustable external straps keep this nice and tight against your back. Last but not least, there’s five unique designs available. Our handy guide to the amazing roll top backpacks features more great products like this. The sixth and final KAVU bag on our list is brimming with flair, and brings a whole lot more to the table than you’d expect. First of all, Pack Attack is built of 100% polyester, keeping everything nice and lightweight. As one of the more modest KAVU rope bag models, there’s a little less storage, and it operates as a backpack. The rope is a nice touch, but you don’t want too much weight on in your pack, and those digging into your shoulders. You get one external pocket for quick-access items, and a large, no-nonsense internal storage area. Grab from any of the eight killer designs, and slip into something a little more stylish. For proper care and maintenance, check out the brief buying guide below. KAVU adds a fun and eccentric vibe to the backpack game: funky styles, quality construction, and a dedication to your adventure. There’s a lot to love about these guys. From their story to maintenance, right on down to what you should be looking for, we’ve laid it all out in the open. Material - You’ve got three primary choices that KAVU bag models use: cotton canvas, polyester, and 100% cotton. Each are durable, come with their own pros and cons, and all uphold the KAVU guarantee. Size - Pay special attention to the dimensions. The build size is going to be a little tricky to judge from the online photos alone, so ensure to plan accordingly. Most KAVU bags are intended for small carrying loads, and help with a slim-fitting appeal. Capacity - KAVU bags tend to be a little shorter in this department, so you have to make the most of it. Capacity is half the battle. Durability - This is where it comes down to materials. KAVU is synonymous with quality construction, so when you choose between cotton, canvas or polyester, you just have to follow proper care instructions, and your materials will stand the test of time. 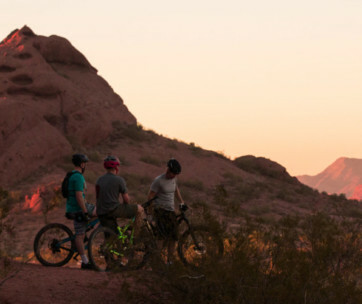 Versatility - Whether you’re taking it for the ride to a work event, overnight expedition, camping or anything in between, it has to be versatile. Most KAVU bag models can blend from one intended use to another, making it simple to stash, sling over your shoulder, and fly like the wind. Backpacks - Everyone’s always looking for a more stylish and functional backpack. Well, with KAVU backpacks, that wish morphs into a reality. Mens bags require a certain sense of style for us to pull off, and nobody does it better. Whether you’re after a canvas bag or waterproof bag, there’s a KAVU bag selection for you. Sling Bags - A KAVU sling bag just throws over your shoulder, keeping it cool and casual, while providing excellent on-the-go storage capabilities. These are excellent weekender go bags, and perfect for lightweight needs to and from work (in a more casual job setting). 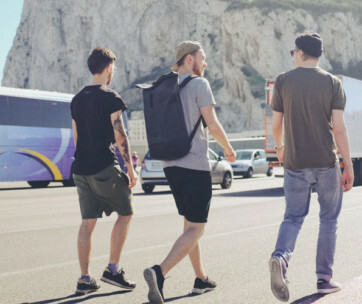 Waist Bags - Somehow, these guys did it: they turned waist bags into something that men can actually wear without being mocked. These hang by your side, but add a touch of flair and a whole lot of function, while keeping it respectable. These are primarily made out of polyester, so whatever nature or your day throw at you, you’ll be good to rock and roll. Founded in 1993 in Seattle, Washington, KAVU focuses on the fun, the eccentric, and anything that helps you express your own style. 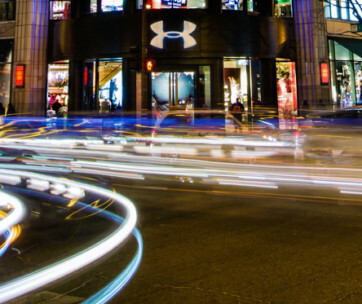 They started when Barry Barr, founder and CEO, sold Strapcap models out of his car. As fate and hard work would have it, they’re now widespread across the globe. They produce more than just these stellar bags: there’s a lineup of headwear, accessories, sunglasses, and so much more. Designed with style and function in mind, crafted of excellent materials, and build to last: that’s KAVU in a nutshell. Q: Are KAVU Bags Waterproof? A: Not inherently. If you grabbed a polyester bag, you’re going to rely on the natural waterproofing that polyester offers. Basically, it helps water to bead and roll off of the fabric. Cotton is absorptive, so rainwater or spills are going to soak in fairly quickly. As a heads-up, it isn’t worth it to go ahead and get a waterproofing spray. 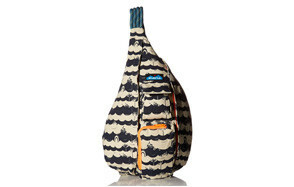 KAVU bags are very uniquely-shaped, and spraying them down is going to be a mostly fruitless endeavor. These are going to move around a lot, which quickly manipulates the concentration of any spray. The plus side is, cotton is fairly quick-drying, and won’t get damaged from a sudden rainshower. 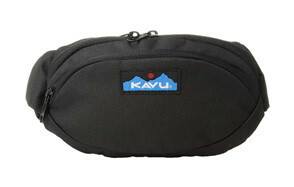 Q: How to Wash KAVU Bags? A: These guys use either 100% cotton, canvas, or polyester, and rarely anything else. They like to keep it simple, so we decided to throw together a simple cleaning guide for these primary materials. To clean 100% cotton bags, you’ll just have to place it in the washer. You’re always going to want to stick it on delicates and cold water. Cold water is proven to do the same job of hot, without warping your beloved clothing. We recommend hanging this up to dry to avoid heating issues in the dryer, but 100% cotton can be put on a low tumble dry. When it comes to cleaning 100% polyester, you have a fairly easy job: don’t over dry it. You can throw this in on a cold/delicate wash, and even tumble dry it, but you’re going to want to monitor it. Over time, intense heat will shrink polyester. We’d recommend hanging it up to dry in a well-ventilated area over the dryer. Lastly, cleaning cotton canvas bags requires a bit of TLC. Take a gentle bristle brush, empty the bag out, and add a very little bit of water to the brush head. You want to be careful not to fray the canvas, so go in clean lines and be gentle. This has to be done by hand for the best results, but it’s completely worth it. Alternatively, if you have HE equipment, you can use the lowest delicate settings for similar results.